Romania has had a stray dog problem since at least the 19th century, when stray dogs were rounded up and killed, and owners told to chain their dogs in their yards so they would not be captured as strays. History has testimonials of people being unable to walk the streets at night because of the stray packs of dogs. Other testimonials write about rabid dogs attacking and dogs being aggressive because they were hungry. In the 1980s as the communist dictator built blocks of flats, the stray dog population again exploded as owners were forced to leave their dogs in the streets. People in rural areas moved into towns to find work, and simply left thousands of dogs, left to fend for themselves in the countryside. Since then the stray dog population has grown into millions. In September 2013, a media frenzy occurred following the death of a young boy by a privately owned dog. Of course, stray dogs were blamed, and the government ruled to cull all stray dogs. This decision became the start of modern Romania’s reputation in animal management, as a barbaric and corrupt country. Dogs were being slaughtered in the streets using spades, or any means, and puppies killed with bricks. The capture and kill policy includes every dog and the means of slaughter inhumane, including injection of illegal substances. And Paws2Rescue was born to help these poor defenceless animals. Paws2rescue have been working with local NGO’s across Romania since 2013, helping to build private shelters for thousands of dogs, and other animals, and donating for vet treatment for hundreds of horrifically abused dog – dogs abused by humans. It quickly became clear that our long term strategy needed to include a huge focus on the overall population of dogs and animals. Since 2014, we have been carrying out neuter and spay campaigns, working with our local NGO’s across the country, and in 2016 we extended our focus to include the education of children. Over the years that we have been working in Romania, being there every month, every year, visiting the poorer villages and rural areas, it has become clear to us that the children actually do not know that they are supposed to be kind to animals. When we went to one village this year, and bent down to stroke a dog who had almost no fur, the children looked at us as though we were aliens. It was a shocking wake up to us. Of course, children have learned from their families, generation after generation telling the stories about the packs of dogs attacking people, how all dogs are rabid, the priests telling people not to neuter, to chain their dogs in the yards. And it goes on. Children are also witnessing with their own eyes, the horrific Easter traditions of slaughtering the lambs, the abuse to dogs who may steal a chicken egg through hunger. In the past five years, we have seen the most horrific acts against dogs: raped dogs, eyes pulled out, dogs with their feet axed off – and one teenager’s excuse? “I don’t like dogs”, another’s was “we are poor”. Each time we have seen it, there have been no police justice against the children, because “they don’t know any better”, “this is what their families have taught them” we hear from the police. In 2016, we began talking to the WSPA (World Society for Protection of Animals), now of course known as WAP (World Animal Protection). They have built an Animal Care Education programme to be used across primary schools in Romania. 2016 included the finalisation of the programme, writing the books for the teachers and pupils (remembering that in most rural areas of Romania there are no computers). The programme is split across two age groups ages 6 – 9 and 9 – 11 years old. The programme is to be used throughout the whole school year. The school and teachers can choose whether to hold pure animal care lessons, or start introducing animals within lessons such as maths, using animal pictures for counting. In 2016 a trial was held for 400 students across schools, and was a huge success. WAP achieved the next stage of success when the Romanian Education Ministry approved the programme, allowing it to be officially within the Education programme within Romanian primary schools. The programme will be a new lesson “Animal Care” in primary and junior schools from September 2017. The WAP team set up for the schools project have completed their part of the programme and handed over to us. Paws2Rescue have taken the baton, and working with dedicated volunteers in Romania, schools across 14 counties have been invited to take on the education programme in our first year. Acceptance into our first year of the programme has now closed. Schools now wanting to take part, will wait until either January 2018, or the following September 2018 school year. We have 3,605 children aged 6-9 years old taking part. We have 2,356 children aged 9-11 years old taking part. 331 teachers are taking part. 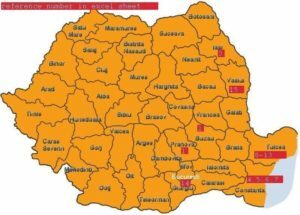 7 out of the 42 counties in Romania are taking part. We only invited 10 out of the 42 counties to take part in Year One due to cost restraints. 17% of all counties are taking part. 36 schools in one county have signed up and will take part. The cost per child and per teacher is EU3. This is the cost for the whole school year. The total cost is EU18,876. Paws2Rescue have to raise 100% of this cost. This is a huge achievement and the 1st formal education campaign for any UK dog rescue. This really is a FIRST for a UK registered dog rescue charity: In helping to educate the future generations in Romania, and actively tackling one of the root causes of the problems of such widespread animal abuse in Eastern Europe. We are a small UK registered charity (registration number 1156882), and we are raising funds for this programme with a unique challenge: For individuals, groups or families to raise just £100 in 100 days. We have prepared fundraising packs, and our team are helping the Challengers as they prepare their events. A perfect way to spend some time in the long school holidays: by helping other children to become educated. 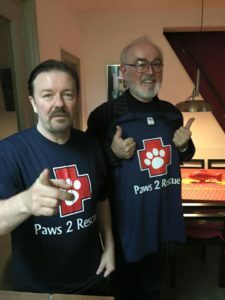 And our Ambassadors and supporters including: Peter Egan, Angela and Martin Humphery and Greyhounds in Need. And our storage partners, Big Yellow self Storage, without whom we would not be able to store donations of dog food and supplies, children’s clothes and our Christmas and Easter orphans shoebox appeals. Please support us and help us raise donations to Educate Romania 2017.